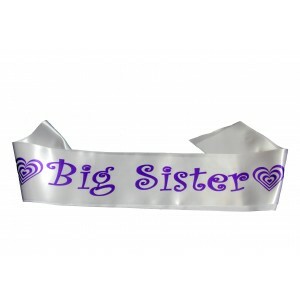 A lovely crisp white satin sash for any proud big sister to wear to shout about the fact that she is the big sister and to feel that she is not being left out of the celebrations. Sashes are approximately 2 metres long and supplied with adhesive velcro fasteners so you can fasten the sash in the position you want, whatever her size. 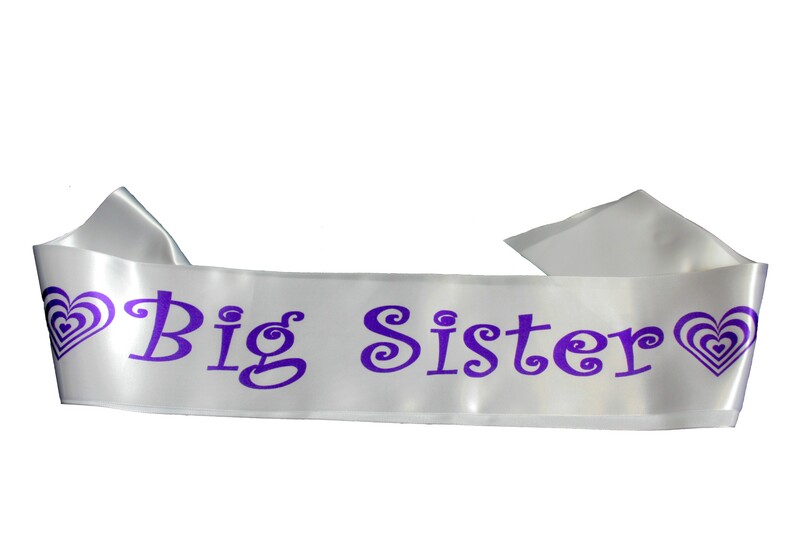 This white sash is printed with lovely bright purple print and a heart in heart design to make it special for a big sister.